A modern remake of Fantastic Voyage has had a not-so-fantastic voyage through the Hollywood system. Several writers and directors have taken a crack at the project, which will be produced by James Cameron, and now another one is up to bat: Guillermo del Toro. The Hollywood Reporter says del Toro is in talks to develop and direct the film, which follows a group of scientists who are shrunken down and go on an adventure inside the human body. David Goyer (The Dark Knight) wrote the latest script and Cameron is still on board to produce. Del Toro was supposed to direct Pacific Rim 2 after his latest, Crimson Peak, but when that was shelved, he reportedly began working on a mysterious smaller project. Whether that’s still happening, would happen before Fantastic Voyage, or how the scheduling will work is still also a mystery. The director will certainly have lots of input on the script and design before production could happen, so it’s very possible he could squeeze another movie in between. Over the past several years, directors like Shawn Levy (Night at the Museum), Louis Leterrier (Incredible Hulk), Paul Greengrass (Bourne Supremacy) and Roland Emmerich (Independence Day) have all had a shot at the project. Hugh Jackman was even rumored for the lead when Levy was attached. But of all of those names, del Toro is undoubtedly the most exciting. His wonderfully disgusting vision would pair nicely with this science-driven, potential studio tentpole. 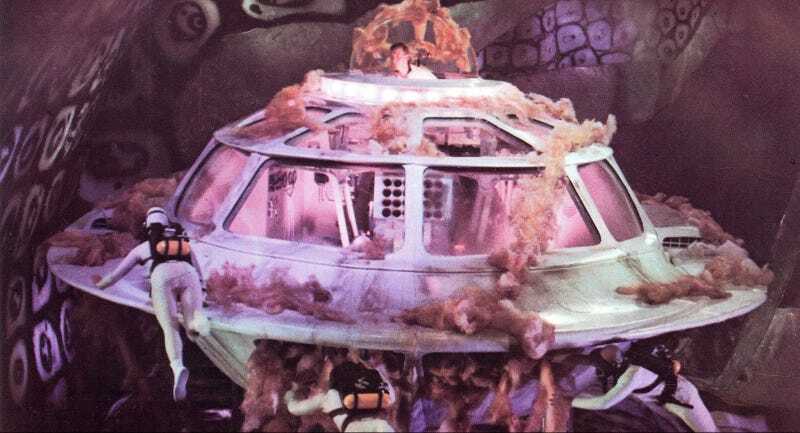 The original Fantastic Voyage was released in 1966, directed by Richard Fleischer.